Deep in the Village, under heaps of saved and unsaved drafts, a sneaky page got out. Yes it did. It snuck out and went unnoticed by the weary worker and the busy class that it was sent to review. It must have had such a chuckle. The typos were glaringly obvious, absolutely abundant and undeniably inexcusable! Finally, after years of roaming freely in cyberspace and infecting numerous houses in the village, it was caught by the very person who created it. “Why on earth has no one brought this to my attention?” she wondered in alarm! Humbled and humiliated, she worked to remedy her mistakes and by morning light offered a new, improved activity. For her repentance, she also offered the complete mini activity book for division. 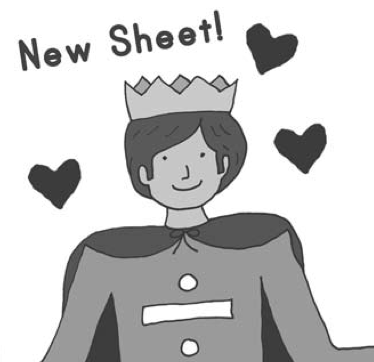 And as a penance for my mistake, here is the King David Divide Activity Book!